One final thing I'd like to demonstrate is the difference in process between translating content and interface elements in Drupal 7 versus Drupal 8. So in Drupal 7 I'm going to enable the content translation module and also the locale module. Then I'll click save configuration, then in the Drupal 8 side I'm going to go to extend and I'll scroll down to the bottom where the multi lingual section is, and I'll select interface translation, content translation and language. The configuration translation is something that would've been supplied from the Internationalization module. I'll click install. So let's say we wanted to translate to French. 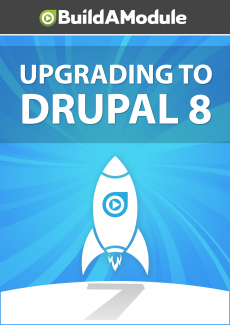 In Drupal 7 we would go to configuration and then languages under regional and language, and we would click add language. And under the language name I'm going to scroll down to French, and click add language. Now this didn't add any actual translations, it just enables the ability to use this language code in the URL to trigger a possible translation.